As electric vehicles become more popular, the competition for consumers’ sales dollars is definitely heating up. Several manufacturers are introducing new EVs to the market to get a slice of this growing segment, including Chevrolet and its new Chevy Bolt. It seems as if the newcomers to the EV crowd, however, are not ready to come up against one of its oldest members, the Nissan Leaf. The 2017 Nissan Leaf is the end of its generation, with many dealers and industry experts expecting a redesigned model for 2018. In comparison, the Chevy Bolt is a new model that made its debut with a lot of hype before it made its move to dealerships. However, even with all the publicity surrounding a new vehicle launch, it is failing to topple one of its most direct competitors in terms of price. In March, the Bolt moved 978 units, according to Jalopnik. In comparison, the Nissan Leaf sold 1,478 vehicles. 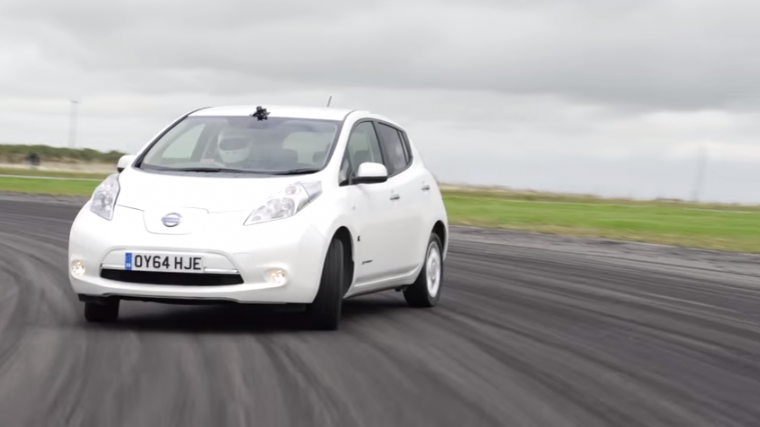 It’s not completely surprising that the Nissan Leaf is standing strong in the face of this competitor. It has an EPA estimated 107 mile range with its 30 kWh battery. The vehicle’s cabin is also known for being spacious and easily adaptable for the demands of its driver. With a reputation as one of the first consumer EVs to be successful in its favor, it is much easier to trust a model like the Nissan Leaf with history over a first generation model. As the Chevy Bolt continues to roll out, we will see which model comes out on top. We will also keep our eyes peeled for updates on the new generation of the Nissan Leaf.